2014 Azimut 80 in her original ownership and presented in immaculate condition. 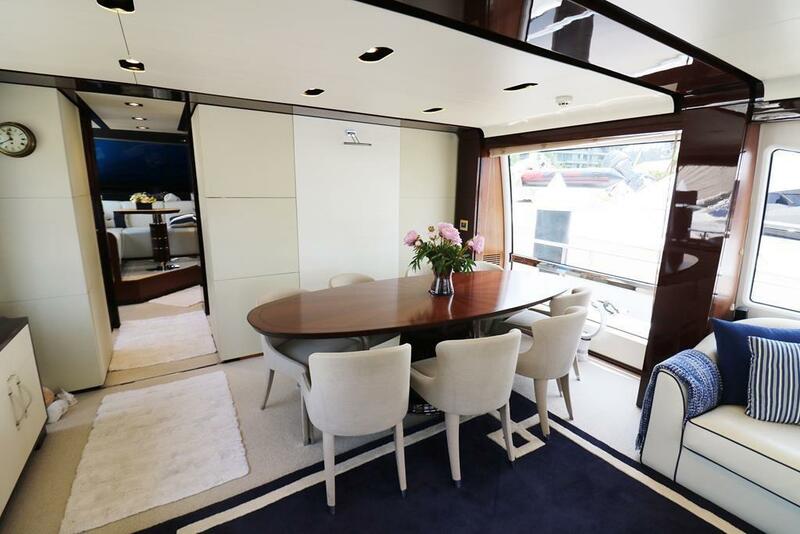 The Azimut 80 has been a sell-out success and this particular example is one of the best available – beautiful interior with 4 double cabins and 4 en-suites. 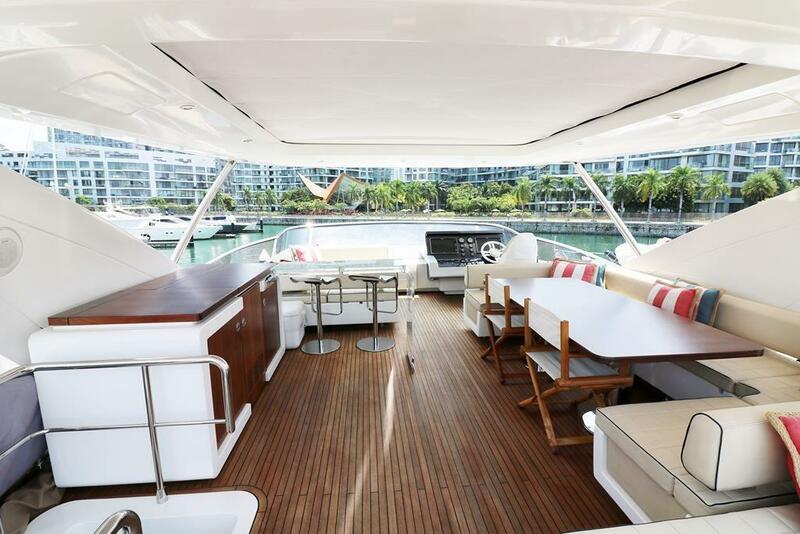 Vast entertaining spaces both inside and out and the typical Azimut pedigree you would expect. Fitted with twin MAN V12’s and benefiting from upgraded generators, tropical air conditioning, electric hard top and fin stabilizers this Azimut 80 is a superb opportunity. Fully equipped and absolutely ready to go. A must see! Contact us at brokerage@simpsonmarine.com to visit today. *Finance options available for this yacht.